Erwan Heussaff and Jasmine Curtis-Smith are the subjects of a viral photo scandal showing a guy kissing another girl. Yes, you've read it right. Erwan and Jasmine, not Erwan and Anne Curtis. 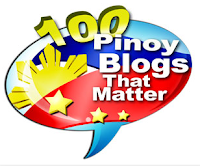 The above Facebook post is just one of the many viral posts about the scandalous picture of Erwan Heussaff and his girlfriend's younger sister Jasmine Curtis-Smith. Allegedly, it was a screenshot from a video posted by no less than Jasmine herself on the video messaging app Snapchat, taken during the post-birthday celebration of her Ate Anne's yummy boyfriend last Sunday. Perhaps it was just like a brotherly kiss by a brother to his sister, or Erwan is just trying to be affectionate and sweet to his future sister-in-law. 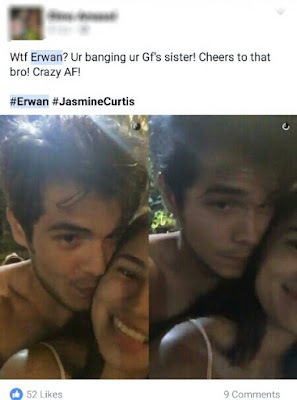 But a shirtless Erwan giving a kiss to Jasmine from behind was way too disturbing for the malicious minds and conservative eyes of the netizens, for the obvious reason that Jasmine got kissed by her sister's boyfriend. Said Snapchat video has already been deleted, and Jasmine should be extra careful the next time to avoid controversy like this one.